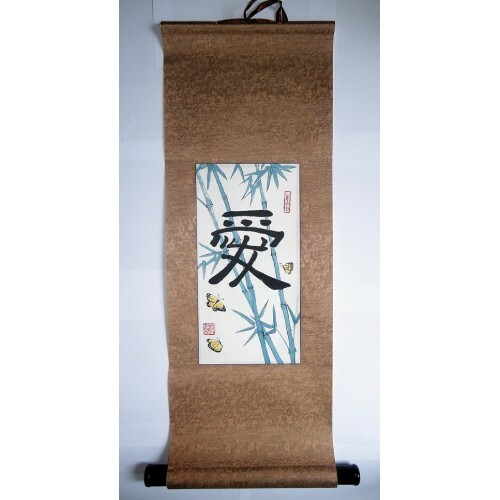 This blessing in Chinese art Scroll is an excellent Asian wall hanging to remind yourself to count your blessings. This Chinese word for "blessing" is the word used in the Chinese Bible to translate the blessings Christians have received from the Lord. But is also much more widely used than this. It is one of the most famous symbols in all of the Chinese language. 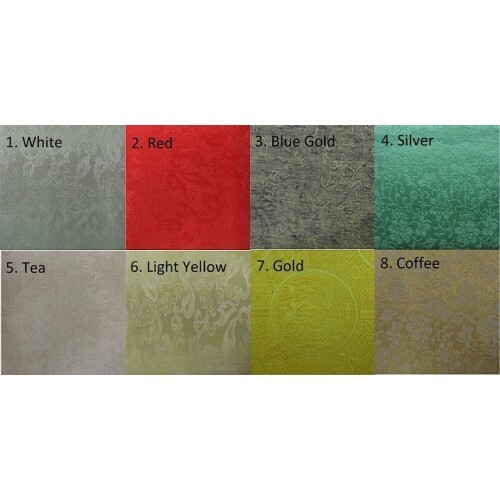 It used as a wedding gift, a Chinese new year wish, an anniversary blessing, or almost any occasion. Chinese people enjoy extending and receiving heartfelt blessings. Many formal and long blessings could be used depending on the occasion. And almost all of them will make use of this character. 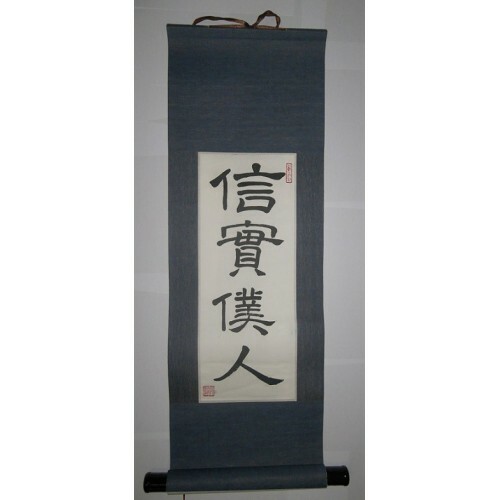 If you give this scroll as a gift it will be viewed as giving a blessing to the recipient. Or you can hang up in your home to symbolize the blessings that you have received and the blessing you hope to be to your guests. 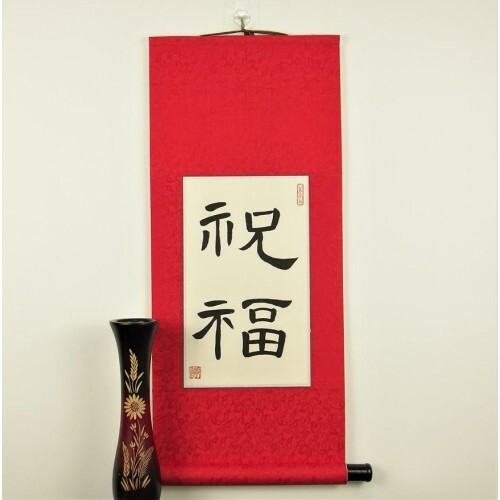 We offer many different colors, but red is the Chinese symbol for blessing or good luck. So red is an excellent choice for this scroll as it matches the theme of the character. Script: Art will be hand brushed in the Lishu official calligraphy script by our expert calligrapher, whose calligraphy is hanging in six continents. This popular style is smooth and clear.